Located in Vias, a very lively town, the Le Petit Mousse campsite enjoys an exceptional setting to help you have an unforgettable holiday with family or with friends. The campsite is located 4 km away from the Azimut Aventures theme park and alongside a beach. Make the most of the many activities and entertainment offered at the campsite to have fun and enjoy yourself as a family. Have fun in the campsite's water park with your children, slide down the slides with your toddlers and let them make the most of the paddling pool. Let yourself be seduced by the sports activities offered, for example volleyball, football, petanque, ping-pong and many others. Evenings at the campsite are filled with karaokes, dinners at the restaurant with a very convivial atmosphere, dance evenings under foam and shows orchestrated by the campsite's team. To visit the beach, you can enjoy direct access from the campsite. You can then make the most of the fine sand and the sea in total peace. 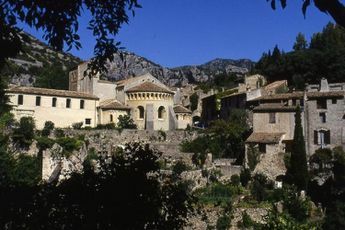 Make the most of your stay in Vias to admire the town's abundant cultural, architectural and historical heritage. Don't hesitate to take a stroll through the town to discover the Saint-Jean-Baptiste church or the Maison du Patrimoine. Many theme parks are also located close to the campsite, allowing you to have fun with your family, for example Cactus Park, Azimut Aventures and Europark. Vias train station (7.2 km). AirportsBéziers Cap d?Agde (10 km). 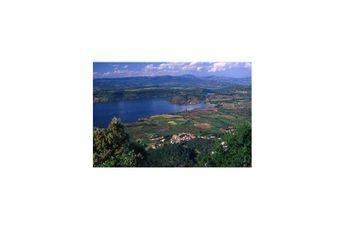 Welcome to the country of Agde, at the heart of the Languedoc-Roussillon region. Here, life is synonymous with strolls and relaxation. Endowed with exceptional natural and historic sites, this little paradise will win over the whole family. Many entertainments and amusement parks exist very close to the campsite, and there is no shortage of towns filled with character in the surroundings. 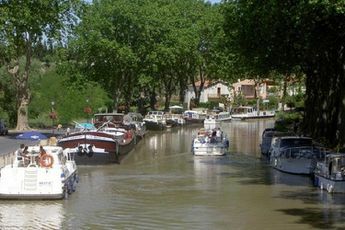 In Vias, a walk along the Canal du Midi and along the steep streets of colourful houses is mandatory!